The Director of the 10th Venice Biennale of Architecture, Ricky Burdett, asked Elena Ochoa to create a major exhibition on cities in the main space of the Principal Hall, the Italian pavilion. 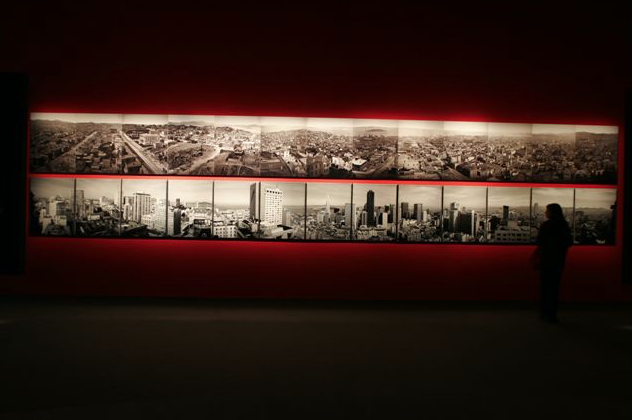 With the Ivorypress team, she assembled works by more than fifty photographers on the subject of the city, as well as videos on the same theme. Art Commissioners produced a short film The First Look. The exhibition continued across the entire main façade of the pavilion. The Art Commissioners team was responsible for the architectural concept. Brian Eno devised the space planning, display, installation, lighting and background music for the show. Over 135,000 people visited the exhibition during the course of the Venice Biennale. The photographers who contributed were the following: Abe Morell, Aitor Ortiz, Anders Petersen, Andreas Gursky, Aniu, Antonio Girbés, Chema Madoz, Chris Jordan, Dionisio González, Edward Burtynsky, Giacomo Costa, Jaime Ávila, Koushik Mitra, Marc Klett, Eadweard Muybridge, Osamu Kanemura, Miguel Rio Branco, Mitra Tabrizian, Robert y Shana ParkeHarrison, Wang Qingsong y Xiang Liqing.